October is National Pizza Month and I am so behind on writing about this. (My kids are on a break from school and life is just hectic right now for various reasons.) After the International Food Blogger's Conference (#IFBC17) on Friday Sept 29, Pizza Rock hosted an event for some of the bloggers and some local food bloggers/Instagrammers. I'm in both categories so I'm not sure where my invite came from but I'm sure glad it came! My husband and I agreed that this was the BEST experience of the month! 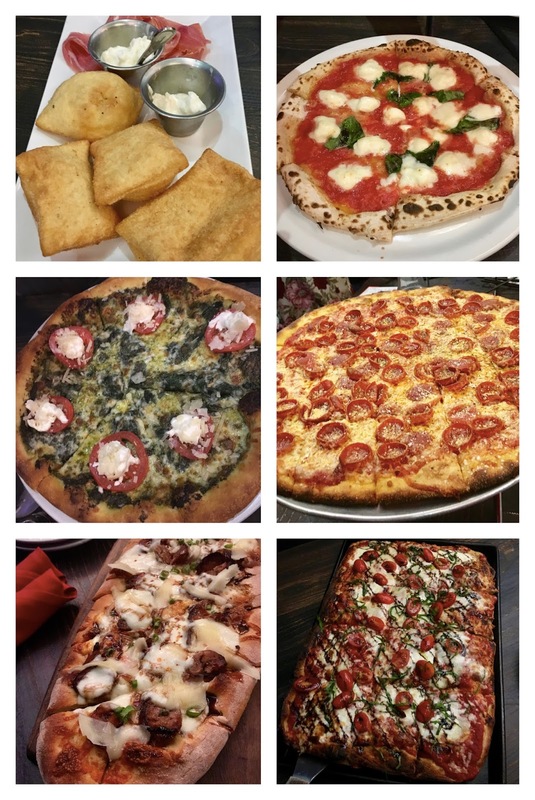 We were lucky enough to try pizzas from each section of their menu plus an appetizer and a small sample of some cocktails. Pizza Rock has a huge menu and it's sectioned off into categories like Pizza Romana, Classic American, Classic Italian, Chicago Cracker Thin, and many more. (They also have non-pizza items if you're into that sort of thing. I usually am. But not here. It's called PIZZA Rock after all.) It was so interesting to hear Chef Laura Meyer talk about all the different types of pizza and how they vary! Honestly, it was a long week, a long day, and I didn't get very good pictures of the event. Also, if I'm honest, I'm having a hard time balancing being social with my friends and new people while taking pictures and doing Instagram stories/other social media. If you have tips on how you got a rhythm, please leave me a comment with tips! The appetizer and the cocktails were delicious but the star of the show was the pizza! All of the pizza was super tasty. They were all very different which I think it awesome since most places make pizza that all pretty much tastes the same. Trying different pizzas from areas around the world was an AMAZING experience! Hubby's favorite was the Detroit Red Top which is baked in a Blue Steel Pan with buttered cheese corners on the outside of the crust. The lacy crunchy cheese is the texture of parmesan crisps but wrapped around pizza! It's topped with garlic oil, marinara, pecorino, and oregano. 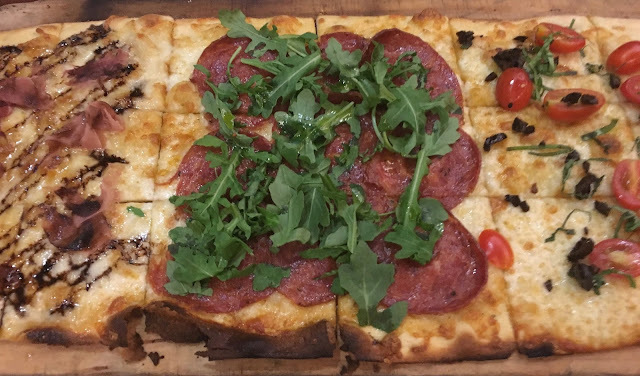 The crust is really light even though the pizza looks dense. The toppings are simple which lets the crust really sing. If you LOVE cheese, this is the pizza for you! I have two favorites though they were all good. The New Yorker which is under the Classic Italian section. It's cooked in an electric brick oven. 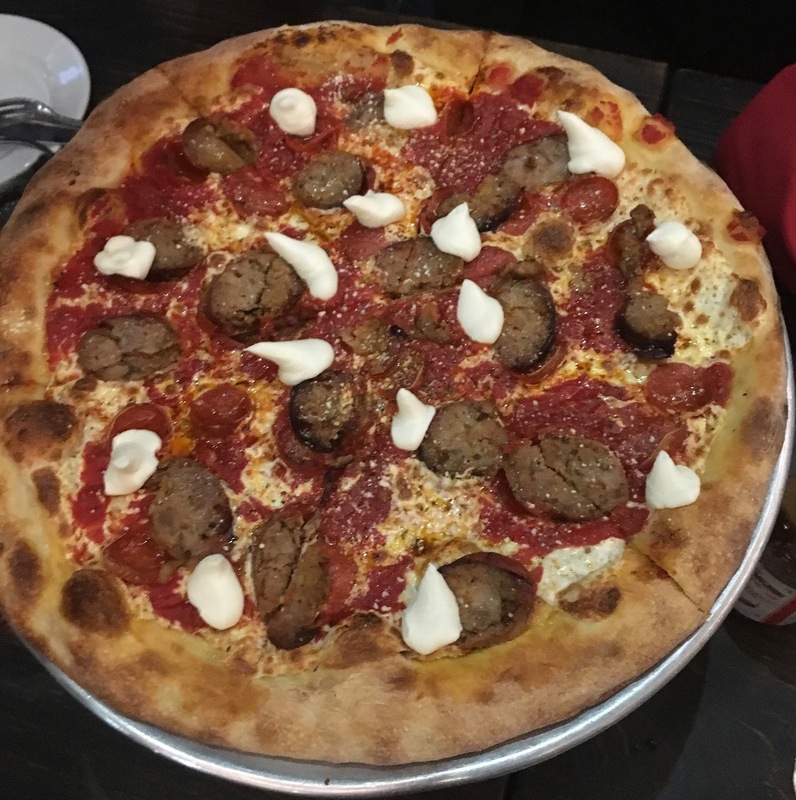 I really enjoyed the pepperoni and the house made fennel sausage. The dollops of pecorino-romano were a yummy addition. I also loved the Romana #1 which is a such a great concept! It's an extra long pizza which is that is split into 3 parts so it's like getting 3 different pizzas in one. My favorite part of the Romana #1 was the section with the fig preserves, prosciutto, gorgonzola, and balsamic! The flavor combo of sweet and savory is my jam! How are you celebrating National Pizza Month? All of those pizzas look delicious! I think I know what we are having for dinner now!!! We will celebrate by getting our favorite deep dish! They all look so good. We just had pizza tonight! The struggle can be real trying to balance being in the moment and sharing with readers. I wish I had some advice! This is making me hungry! I know what I'm having for supper tonight! I had NO clue it was national pizza month! but now that I do, I plan to celebrate all I can. Maybe we'll do homemade pizza tomorrow. Wow those all look so good! There's something fun about trying out new and unique pizza flavors. We had a pizza date night on Friday, we went to Old Town Pizza. :) All of these pizzas look so good! Holy smokes, how does one even choose a favourite?? I love Pizza Rock! 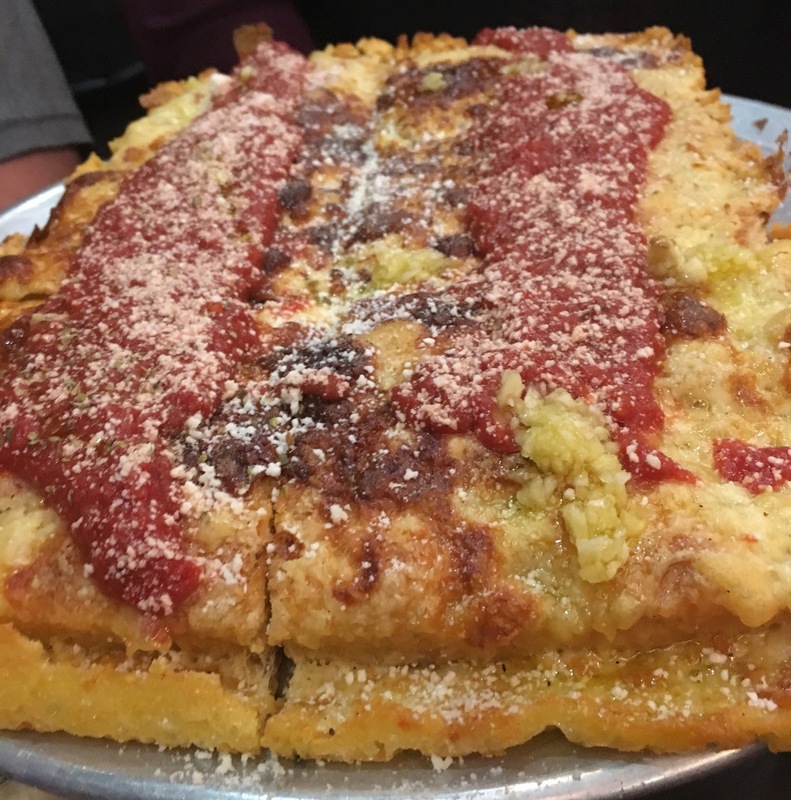 We’ve been dying to try their Detroit style pizza, because it’s my favorite, especially being from Detroit. I miss it! Good to know that I can get a little taste of home by going there! Wow! These look so amazing! I would have such a hard time choosing... maybe I'd need more than one! Okay, I am hungry after reading this blog post! All of these pizzas look delicious, how fun that you got to attend this event!